A leaked image of a supposedly new iPhone has emerged. MacRumors picked up on a tweet by well-known iPhone leaker Steve Hemmerstoffer. He said that at least one version of the upcoming device will have three lenses arranged in a triangle. This backups up a number of other rumours and leaks we’ve heard, starting back in May 2018. 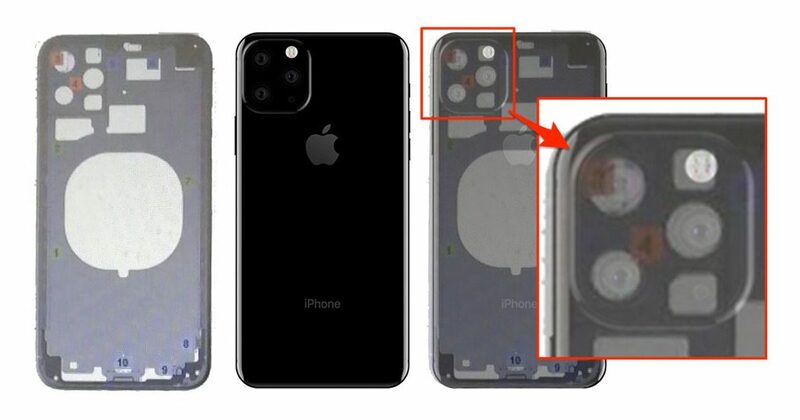 The shared picture depicts handset chassis schematics newly posted to Slashleaks alongside Hemmerstoffer’s earlier CAD rendering of an iPhone, all with a large patch on the rear of the device that appears to house three lenses. Hemmerstoffer says the chassis leak supports his claim that at least one version of the next iPhone will feature a rear triple-lens camera system in a triangular configuration, based on information he has sourced previously. Of course, this may be based more on finding something they can use to belittle the iPhone than something that actually works better.